Significant to Major Winter Storm Unfolding In Southeast for Friday into Saturday. 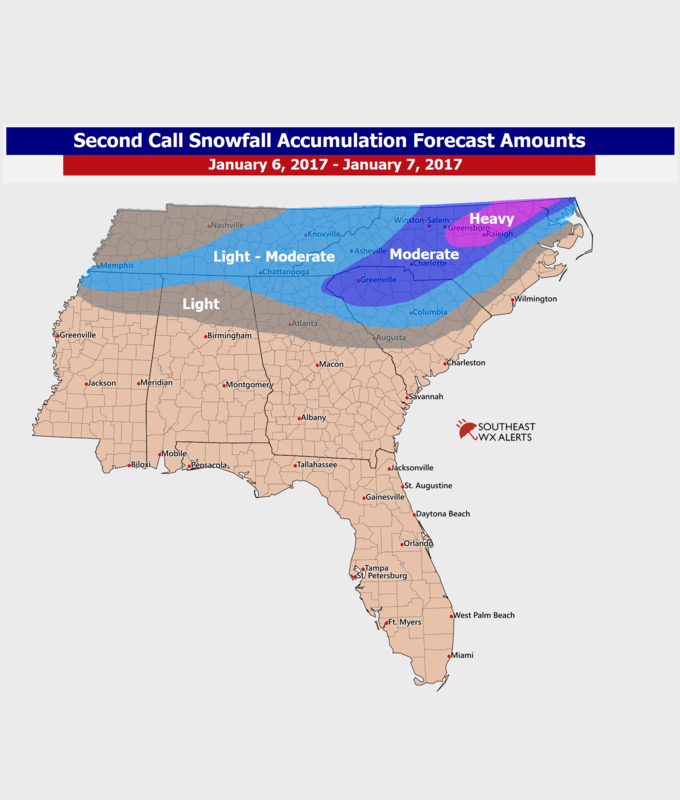 We have been preparing our members for this storm for 7 days now and issued our first snowfall map this past Monday. Join today before 5pm and you will get an email with updated amounts and professional analysis from our team of meteorologists. Don’t sit around and wait for the local weather and other sources to make a decision on how much snow we will get, rather subscribe today and find out before anyone else is even talking about the possibility. We pride our website on keeping the general public and businesses informed to make tough decisions that simply cannot wait until the last minute. Join today and find out how we are “Preparing You For The Weather”.